There is only one place to begin, and this is with the creation of engaging, informative, and original content. No business can afford to overlook the importance of this, no matter what industry you operate in. Producing quality content is vital for showing your business as an expert in the field – a firm to be trusted. It is also important for SEO purposes. An effective way to get visitors engaged with your business is email marketing. It is also an exceptional platform for maintaining current relationships. You should encourage people to sign up to your newsletter. A good way to do this is to offer them 10 per cent off their next purchase if they sign up, for example. You can then send regular emails to them to slowly nurture your subscribers and encourage more purchases. This leads on from the former part regarding email marketing. It is a good idea to entice your customers by sending them special offers via email. Who doesn’t love a bargain after all? When you send someone a special discount for a limited period, they will be more inclined to purchase something they were unsure about, as they don’t want to miss out on the great deal. If you take a look on the Internet, you will no doubt discover some business awards that you can enter. This can be awards for your industry, as well as awards for your area. If you win such an award, you will be able to display the official badge on your website, which in turn will lead to an increase in credibility and consequently trust. This can boost sales considerably. Is your website up to date? Is it quick to load? Is navigation easy? Do you get a lot of traffic? Do the people that visit your website make purchases? Does your site feature great content? Is the structure focused? If you have answered no to any of these questions, it is time for a website update. Your site needs to be an effective representation of your brand, and it needs to attract visitors and ensure they stay there. If your traffic levels are high, but your bounce rate is also high, this shows that there is a fundamental issue with your website that is causing people to leave. If it takes too long to load, for example, people are going to hit the back button and end up going to one of your competitors. It is important to attend every event that presents the potential for your business to network. If you contribute to the overall community, you will be one of the first people that come to mind when someone needs an expert in your area of concentration. Nothing is more powerful than face-to-face marketing. Just make sure you have your business cards handy so that people can get in touch afterwards. Have you considered offering your current customers a reward of some sort if they recommend new customers to your business? This is an extremely powerful tool, as word of mouth will always be one of the best ways to secure new business. Therefore, consider offering your customers a discount or a free product if they bring in new custom for you. If you serve an international audience, for example, if you send your products all over the world, it is a good idea to translate your website. This will encourage more users, and it will do wonders for your SEO strategy as well. Whenever you have an open day, you are looking for a new member of staff, you have secured a new contract, or you are launching a new product or service, it is important to put together a well-written press release and send it to your local newspapers. Basically, whenever something ‘new’ is going on at your business, act. This can make an interesting story for a local newspaper, and you will essentially get free press for the local area if one of the newspapers decides to go ahead with your story. There are plenty of free directories for local companies to take advantage of, such as Bing Places for Google from Bing, and Google My Business from Google. There are also paid directories as well, but it is a good idea to start off with the free ones and see how that goes. It is a good idea to ask your customers if they would be happy to share their experience of working with you on your website. This is especially important for service-based businesses. Let’s say you run a consultancy firm. You can build up the picture by revealing the problem your client faced, the plan you devised to rectify the issue, how you put this into action, and the results the firm is experiencing as a result. Try to include quotes from the client as well. This goes a long way to adding credibility to your firm and showing you as a trustworthy business. If there is one form of marketing that is really taking off at present, it is video. Video content can be used in many different ways to promote your business, from videos that introduce your business to demo videos for your products. The likes of YouTube and Vimeo are watched by millions all over the world every day, and you can integrate this with your social media marketing strategy, as posting your videos on the likes of Twitter and Facebook, and encouraging shares, is a great way to get noticed. This leads onto the next part perfectly; as a small business you need to master social media. Firstly, it begins with ensuring that your business is being advertised on the right platforms. It is not a case of the more social media accounts, the better. Choose two or three and focus your efforts on this. Facebook is something that all businesses should use, and then it is a case of deciding what is right for your consumer base. For example, Instagram and Pinterest are both image-based, is this something that would work for your company? Moreover, the vast majority of Pinterest users are female, and thus this is something to bear in mind. Furthermore, learn how to master each social media platform to full effect. Your interaction on Facebook is going to be very different to that of Twitter. With Twitter, you need to be posting short and snappy tweets on a regular basis. Avoid being too promotional in your content, as this rarely works. Your tweets should not be heavy, direct links to your products and services. You should take a look online for forums relating to the service you provide, and answer questions people have left. This is a great way to gain the trust of the person answering the question, as well as those reading it. You can show yourself as a professional in the industry, and this can lead to more business. For example, if you sell diamond jewellery, you can look for people asking questions about choosing engagement rings for their partner, and they may be encouraged to purchase from you. You should seize the moment if someone has just purchased a service or product from you. Once the have done so, send them an email or a letter thanking them for their business and informing them of a special offer. For example, you could give them ‘x’ amount off their next purchase, but make sure you include an expiry date on the email or letter so that they are encouraged to make a purchase sooner rather than later. Encourage your customers to level reviews about your business, especially on independent review platforms, not only your website. A lot of people are sceptical about reviews left on companies’ sites, yet they trust independent websites like Yelp and Trustpilot, and thus if you can build a good reputation on there it will do wonders for your business. If people leave negative comments, it can be a good idea to respond to them if possible, looking to rectify the situation. Good businesses care about all of their customers – not just the ones that have positive things to say. Your business will never improve and take steps forward if you do not get in tune with what your customers want and what they think about your business. This is why it is advisable to send your customers a survey via email or to encourage them to take a survey once they have made a purchase via their website. You should also take notes of any comments left by customers on Facebook and Twitter. Don’t take any harsh comments personally. No business is perfect, and you should use the feedback to better your company. Online competitions present a great way for you to get word out about your business. This is something a lot of companies take advantage of nowadays. Of course, you need to offer a prize, but this does not need to be anything substantial. Simply post a message on Twitter and Facebook and get your followers to share the post for their competition entry. This essentially means that for every competition entry, that person is sharing your business with all of their friends and followers. It works as free advertisement for your business. Moreover, those who miss out on the prize may decide to purchase it from your business in any case if they like what they saw. It is always a great idea to send birthday cards to current and past clients, as well as valued vendors and partners in your referral network. You can send these cards via email. However, as a small business, it works well to handwrite these cards and send them via post. This helps to strengthen your relationship with those in question. 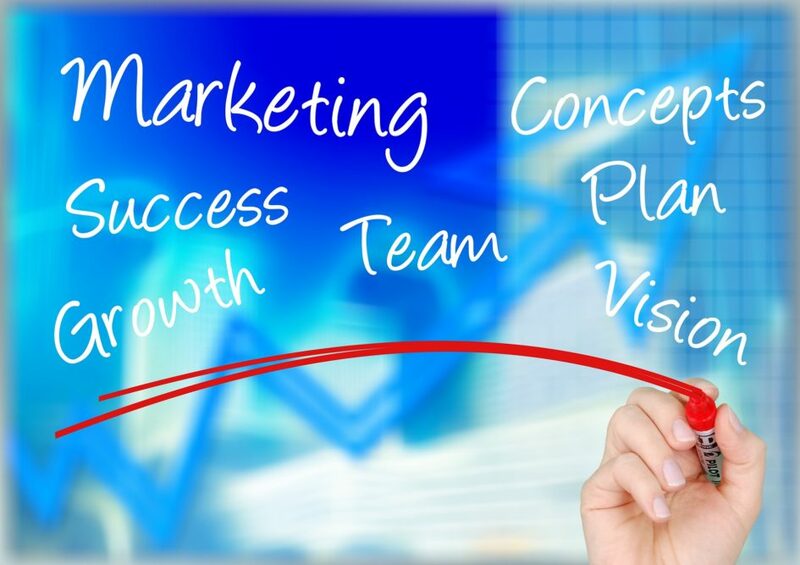 Last but not least, as you have no doubt gathered from the long list of options mentioned in this post that are available to you, there is no magic formula when it comes to marketing your business – there is no single, failsafe approach. This is why it is important to vary your tactics from time to time. If you only use one marketing approach, your customers will probably tune out after a while. This is why it is important to keep your marketing fresh and to try out new ideas.